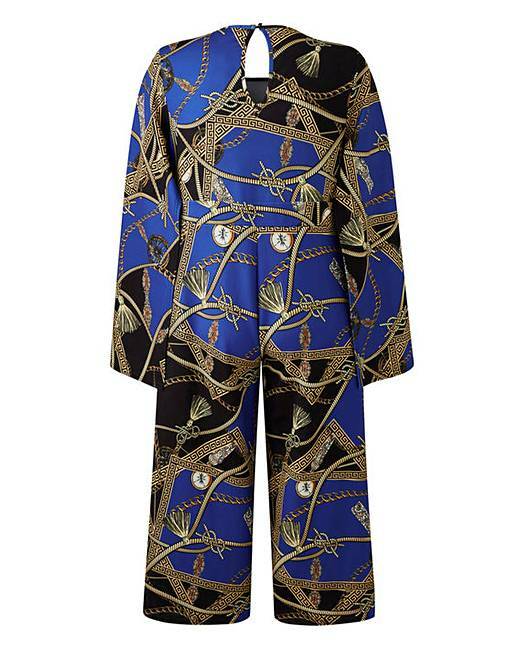 AX Paris Curve Printed Jumpsuit is rated 1.8 out of 5 by 5. Sign up for 12 months of unlimited next day delivery for only £9.95. Please accept our t&c's to continue. Simply Be Unlimited gives you unlimited next day, nominated day or click & collect delivery for £9.95 for 12 months. If your order includes a product to which supplementary delivery charge applies, you will still be charged for these. Where supplementarydelivery charges apply these are clearly detailed on the product pages and in your shopping basket prior to placing your order. This offer is only available to individuals residing in the UK and for delivery to UK addresses. You must have a registered Simply Be account and be logged in to your account to take advantage of this offer. You can purchase this offer on the internet but you cannot purchase it over the telephone. However, once purchased you can use it when shopping online or over the phone. By purchasing Simply Be Unlimited you expressly accept that we will start to provide you with the benefits of Simply Be Unlimited from the date of purchase. You may cancel Simply Be Unlimited at any time within 14 days from the date of purchase by contacting us on 0345 071 9018. If you have not placed any orders with us during this period, we will issue you a full refund. However, if you or anyone authorised by you to use your account has placed an order during this period, we will issue you a prorated refund. All orders placed are subject to our standard terms and conditions and standard delivery timescales. Your Simply Be Unlimited purchase is subject to acceptance by Simply Be. We reserve the right to amend the Simply Be Unlimited terms and conditions at our discretion and we will inform you of any significant changes. 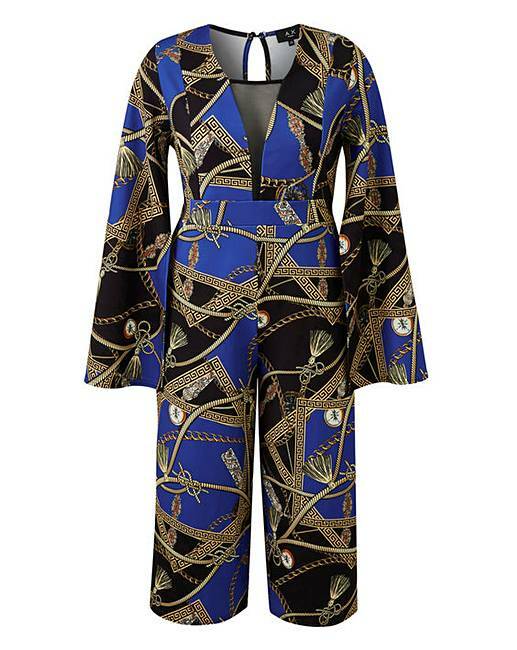 This statement super bold jumpsuit by AX Paris curve is screaming for a night on the town. 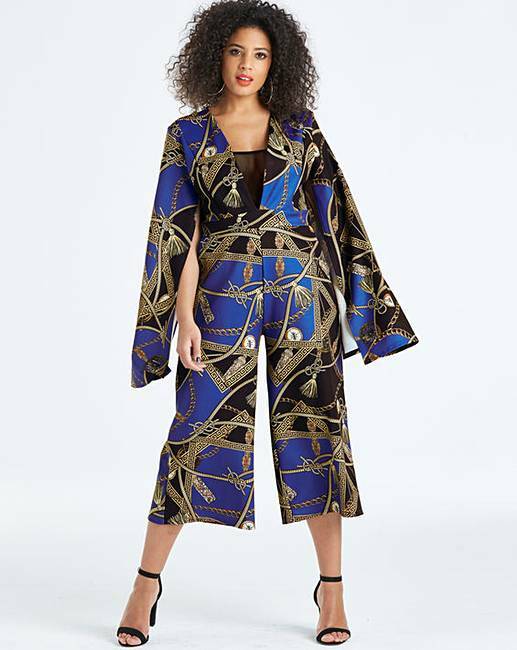 With a culotte style trouser, flattering mesh insert V- Neckline and stand out cape sleeves this jumpsuit has all the good vibes. Next Day Delivery £1.00 plus your standard charge*. Nominated Day Delivery £1.00 plus your standard charge*. Rated 1 out of 5 by cjrichards97x from Horrific material I bought this for a party and I wish I had read the reviews first! The material feels like a scuba diving suit and is very thick! The print is lovely but you can barely get it on as there is only a tiny neck hole to fit your body through! Overall disappointed. Rated 5 out of 5 by Jujuboo from Stunning! 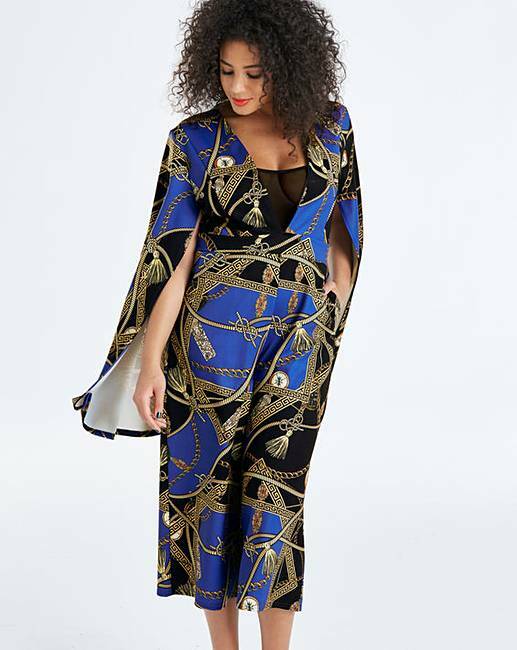 Really loved this jumpsuit but couldn’t justify the price, even thought it is beautiful. Rated 1 out of 5 by Warrior from Looks Good But....... Bought this in store, in my usual size. Difficult to get on and impossible to get off without help!!! If your tall you will struggle the body is way too short. Only redeeming feature was the print, the actual material looks fluid but is way too thick for a night of partying. Returned.